My mother recommended this book, so without reading a single review, I purchased it. The book is well-written and it is a compelling story. However, as a native of the Texas panhandle, I am offended by the narrator. That is, without a doubt, the most annoying version of a fake accent I have ever heard. My 15 year old son described it as "cringy." He isn't wrong. I strongly suggest a stiff drink before listening or reading the book yourself. I managed to finish it, but my entire family is grateful it's over. Koontz is my favorite. I have read many of his works and this is, by far, the best of them. The book is 30 years old, but this is my first introduction to it. 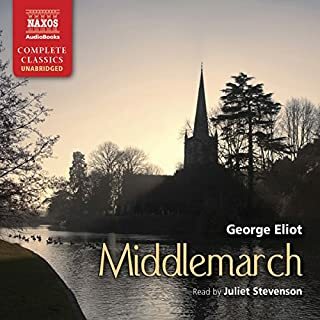 The story stands the test of time with themes of love and friendship. 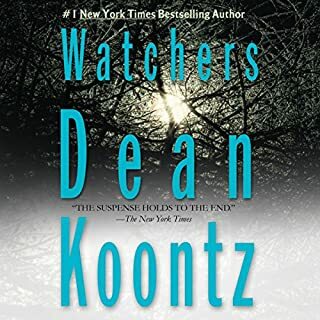 On a deeper level, Koontz addresses the morality of genetic testing, the power of the individual versus the government, and the meaning of life. I cried at the end simply because it was over. 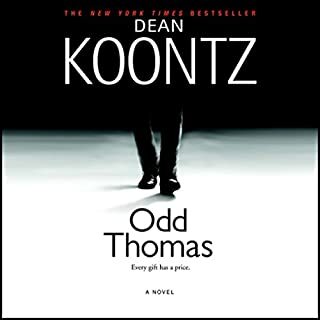 I read Odd Thomas when it was originally released, but purchased the audio book to introduce my son to Dean Koontz on our Christmas vacation. The narrator magnificently brought the story to life. Absolutely perfect until the end! I'm not sure why the author didn't write a conclusion. 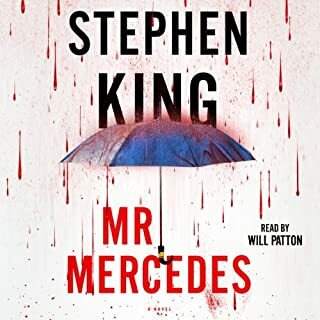 I have a limited amount of time to read (or listen) to a book for enjoyment, and I regret wasting a weekend on this one. The story isn't believable. A ten year old girl capable of many of the thoughts and actions of Starla is unbelievable. There are several instances in which Starla is able to find solutions to problems, and the fact that an adult is with her and couldn't find a better solution is ridiculous. If Starla were capable of thoughts so logical, she wouldn't have been in that position in the first place. 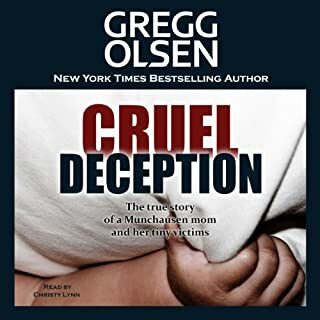 There are several scenes written into the story that have no value except that the author wanted to mention a product from that time (Fiesta dishes and troll dolls). Mimi is a completely hateful woman. Porter tells Starla she is loved by her Mimi, but Mimi's actions never reflect that level of affection. The relationship between Eula and Starla is sweet the only part of the book that feels authentic, but it isn't enough to overcome everything else. I'm thankful I bought this in sale instead of wasting a credit. A classic you must read! While the length may seem overwhelming at first, there is not a single superfluous word in the text. The characters are full and beautiful and flawed, and by the end of the book you will feel as if you are parting from the dearest of friends. If you love traditional King, this may not be your cup of tea. No supernatural evil here, just a highly disturbed mass murderer with plans to take it to a new level. 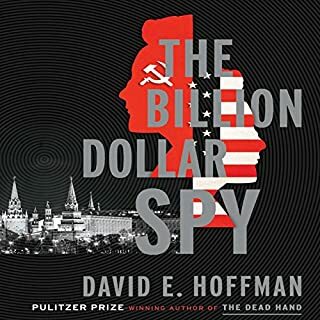 I started reading this book several years ago when it was released. 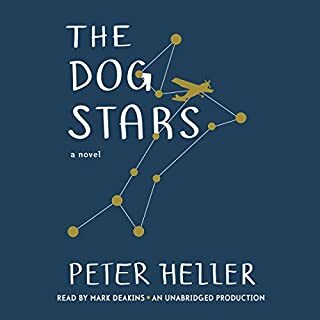 I didn't finish it before starting a new job and have spent years wondering what happened to Hig and if he found what he was seeking. I finally decided to stop wondering and download it here. I usually listen on my commute or while doing chores. 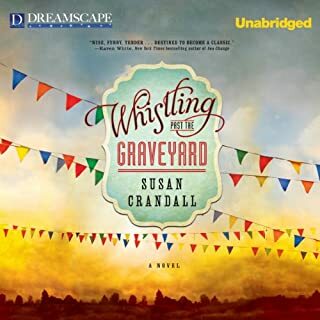 This book is so enchanting I found myself sitting down in the middle of a project so I could focus on the story. Hig is a fantastic character. He's manly, but not hard. You wouldn't exactly call him a wimp, but he and his dog, Jasper, are unlikely survivors of an apocalypse. At least Hig managed to keep himself alive long enough to team up with a fanatic that makes Clint Eastwood look like a sissy. Bangley is a GREAT character. He's mean, hard, insane, and by the time Hig left for his big adventure I completely loved him. Hig survived the flu that wiped out most of the world, but he didn't get out unscathed. He lost his pregnant wife and the fever altered his brain function though his intelligence in intact. Hig's narration. of the story is broken and sometimes travels in weird patterns as a result. As the book progresses, this is less noticeable though. Does Hig change that much or does the reader become accustomed to the strange thought pattern? It's hard to say. This is a fantastic story of humanity. I laughed, I cried, and I'll be thinking about the story for days.